it's no secret that Brixton has a rich and colourful history, festooned with important cultural landmarks that illuminate the past and indeed have contributed massively to the present; the London we live in today. But what is perhaps not as well-known is one aspect of Brixton that has recently been thrust into the limelight because of an art exhibition currently taking place at the Tate Britain museum. That exhibition is entitled "Van Gogh and Britain' and features a huge photograph of the front of a certain house, that being 87 Hackford Road, Brixton. And here you have the connection between one the world's favourite artists and our favourite district (okay, we're biased here at our Eden Harper Brixton office!). Vincent Van Gogh arrived in Brixton in 1873 aged just 20. 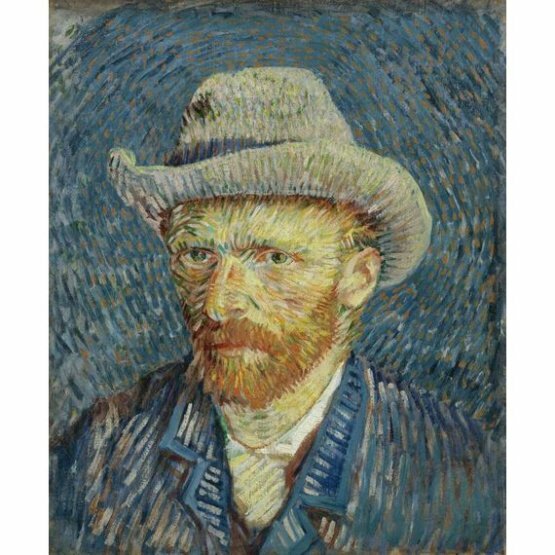 He was not an artist of any note at that time and came initially to work for a Dutch art dealer but there is a universal acceptance that the Van Gogh we know was born in London during his stay here. Now a mysterious set of papers and items dating from the period are said to have been recovered from the artist's former home, throwing new light on his time here. The items, found under floorboards and in the attic of the house in which he lived, include insurance documents, a prayer book and some scraps of paper with painted watercolor flowers. It is reported that the property's owners, Jian Wang and Alice Childs, found the documents during renovation of the three-story, early-Victorian terraced house. They could have had little idea they would unearth such important artefacts when they bought the property in a ramshackle state in 2012. Martin Bailey, who is a Van Gogh expert and author of "Starry Night: Van Gogh at the Asylum," spoke to CNN about the period and the significance of the find. He explained: "Van Gogh was 20 when he arrived, an impressionable age for anyone, so his period in London had a deep influence on him. What was important about London was that he worked in an art gallery, and this helped introduce him to painting. Had he never worked in a gallery, I believe it unlikely that he would ever have become an artist." Alongside the insurance documents, builders also recovered a tattered 1867 edition of "A Penny Pocket Book of Prayers and Hymns." The offices of the book's publisher, Frederick Warne, were in Covent Garden, close to the gallery where Van Gogh worked. Bailey says that the book was probably owned by Gogh's landlady, Ursula Loyer, but may have been read by Van Gogh, who became a devout Christian while in the capital. Also discovered were painted watercolour flowers and while Bailey says that he does not believe the paintings were the work of Van Gogh they may well have been painted by Loyer's 19-year-old daughter, Eugénie, with whom it is said Van Gogh had fallen in love.